The Buckland River Hydraulic Gold Sluicing Paddock consists of an area about 100 metres by 50 metres containing a small sluiced open cut, pebble dumps and a tail race. 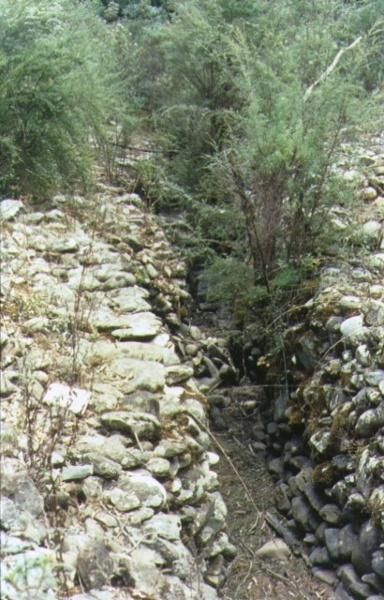 Water for sluicing would have been delivered to the site by a high pressure pipeline from higher up the river and then directed at the gold bearing deposits above the river. 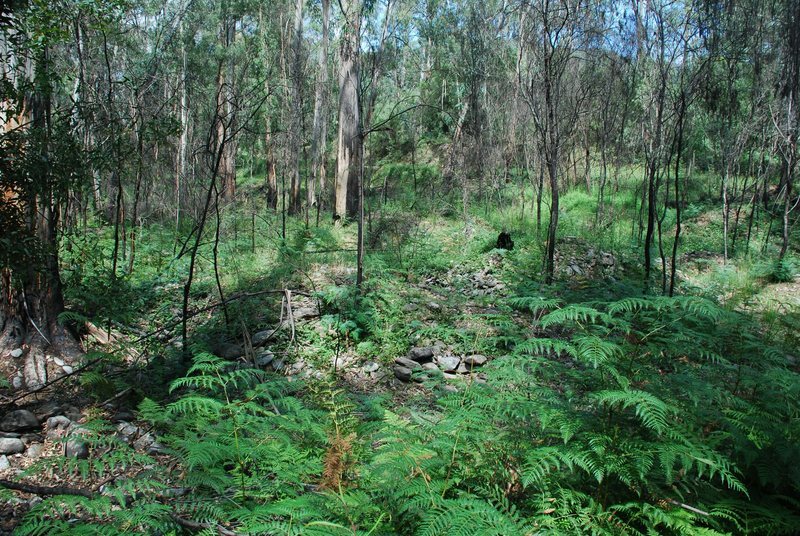 The technology was introduced into Victoria in about 1855 and this particular site, which is one of several along the Buckland River, probably dates from the mid 1860s. The Buckland River Hydraulic Gold Sluicing Paddock is of historical, archaeological and scientific importance to the State of Victoria. The Buckland River Hydraulic Gold Sluicing Paddock is historically and scientifically important as a characteristic and well preserved example of an early form of gold mining. Gold mining sites are of crucial importance for the pivotal role they have played since 1851 in the development of Victoria. Hydraulic sluicing of alluvial gold deposits is an important key ingredient in an understanding of gold mining technology as it was employed in country where water was plentiful and perennial. The Buckland River Hydraulic Gold Sluicing Paddock is archaeologically important for its potential to yield artefacts and evidence which will be able to provide significant information about the cultural history of gold mining and the gold seekers themselves. Buckland River Hydraulic Gold Sluicing Paddock, Buckland River (4kms downstream from Buckland Shire), Alpine Shire Council. 1. All of the land including the excavations, water races and pebble dumps and any other remains of hydraulic gold workings within a radius of 150 metres of the point with Australian Map Grid co-ordinates E868 N248 on 1:100,000 map sheet number 8224 Buffalo. [Victoria Government Gazette No. G47 28 November 1996 p.3072].